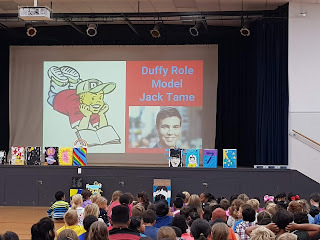 Wow, what an awesome Duffy Assembly this morning. Jack Tame, a TV presenter and journalist, came to our school to share with us what inspired him to become a journalist. 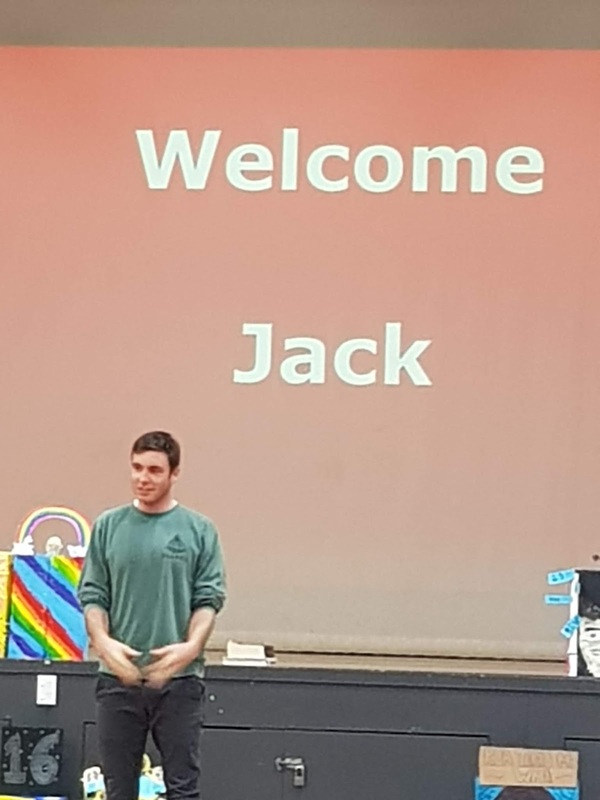 Jack has travelled the world, interviewing famous people like Beyonce, Jennifer Lawrence, Richie Mccaw and Sonnybill Williams. Did you know that Jack reads for 1hr every morning before he meets his guests? He also reads every night before he goes to sleep, but this time for fun. Salma and Sahar collected our Duffy box from Jack. We can't wait to read our new books! Everyone needs to wear a life jacket when you are in a boat or when fishing off rocks. That was the clear message from our fantastic swimming coaches. 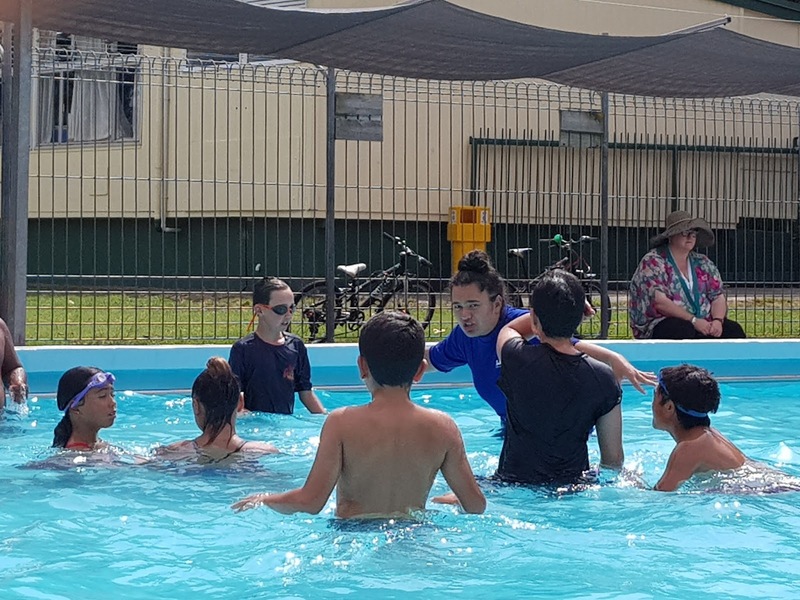 We are finishing off our swimming safety lessons by learning how it feels like to wear and swim with a life jacket. 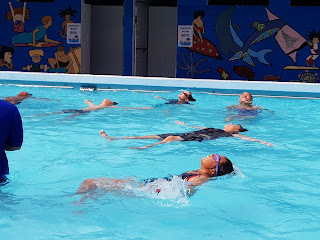 We now know how to stay warm and how to work with buddies when floating in the ocean. And how much fun a life jacket is to wear! We also had a great music lesson with Malcolm. Here is a quick video of us in action. Jack and August fell out. Have you ever fallen out with a friend? Why? What do you think makes a good friend? Please comment below. Week 7 - Busy, busy, busy! This week we have been thinking about what would happen if we had to move to Mars. Did you know that Mars has huge wind and dust storms? We were challenged to create a living pod for when we first landed that can withstand a huge storm (the class fan). 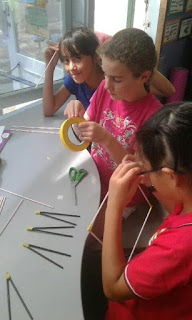 We can only use straws, tape and paper. Here are a few pictures showing us at the beginning stages. Alodia, Zoe and Lillia concentrating on the foundation. 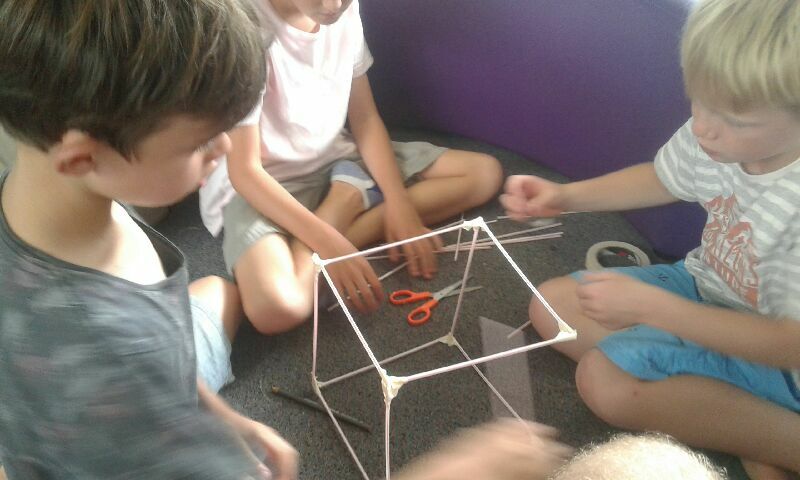 Devon, Olly and Digby making a solid base. 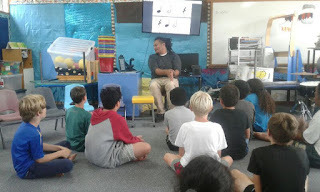 Mal, our music specialist has been teaching us about rhythms and keeping a beat. 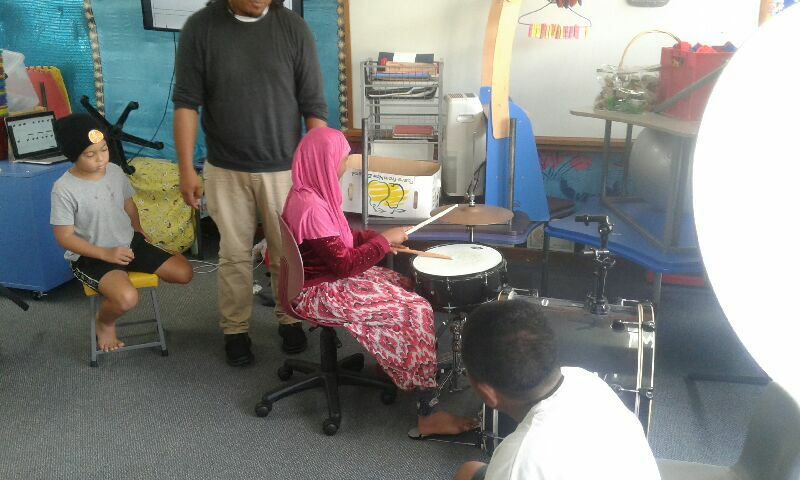 Salma creating her own rhythm. 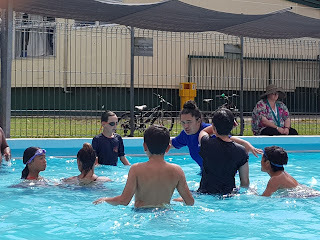 We have started 2 weeks of swimming lessons. Its all about how to be safe in the water. Learning to float for an extended period of time. One of our amazing coaches showing us how to scull water. Much faster when moving through the water than a doggy paddle. Room 8 has been looking closely to what makes a smart learner when posting on our blogs or leaving a positive comment. preview your post before publishing to check it fits on your blog. We also recapped on what makes a good blog comment. positive - what you liked about the post. 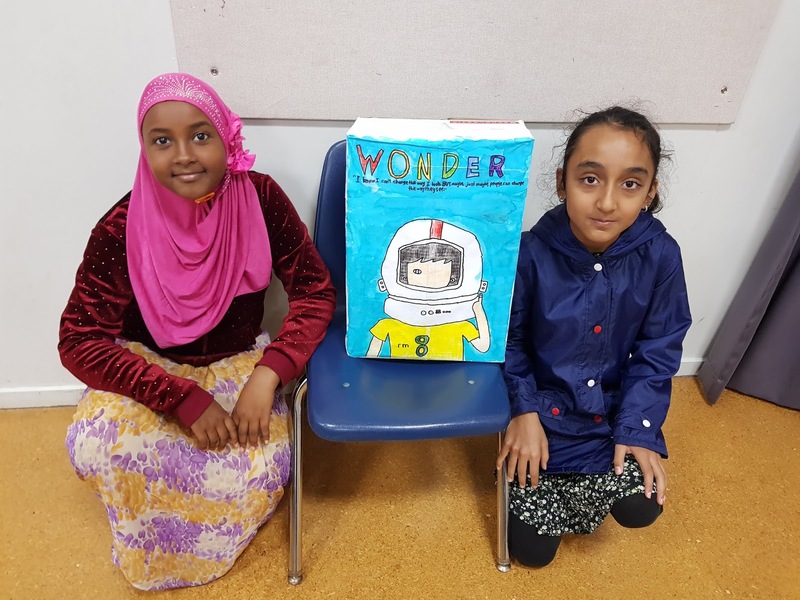 Here are 2 examples from last week, responding to a Wonder ponder. Do you have any advice for Room 8 about how to be a smart blogger? Please leave a comment below. Wonder Ponder 3: Do you think August should go back to school? What do you do to help yourself when things don't go your way? Wonder Ponder 4: Do you think Via is a good big sister? Do you have any siblings? What are they like? If you don't have any siblings would you like to have one? Why? 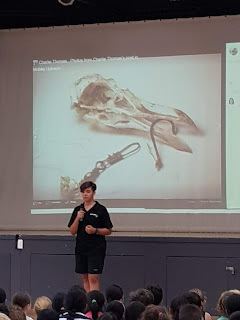 We are taking a closer look at Seabirds this week. Check out our individual blogs for our learning. We started Green Week with a visit from Vector Energy. We talked about how good sustainable energy is, for the planet and the bank balance. We also looked at how different types of energy are made. Sahar and Elio demonstrating how a turbine works. Cole and Salma showing how solar energy works. 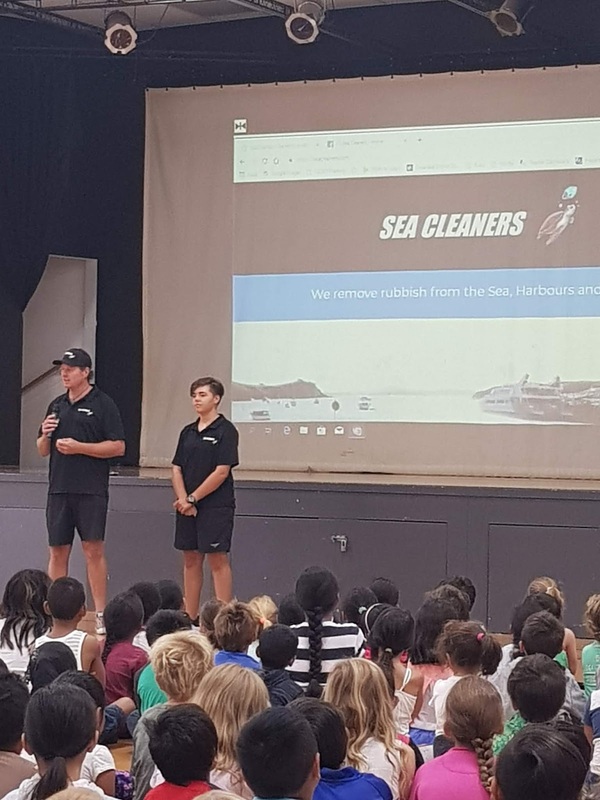 Today we had a visit from Sea Cleaners. Hayden and Charlie shared with us what they do and how we can help. 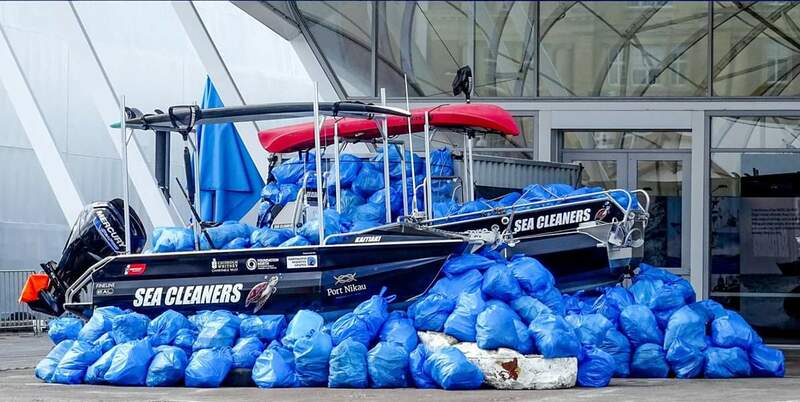 Sea Cleaners pick up the rubbish that washes up on local beaches. 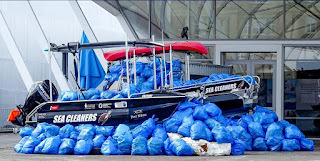 They are a charity so need to raise funds to run each boat. They now have 10 boats around the North Island. What a fantastic thing to do! Charlie has a passion for saving our sea birds. Many are at risk because they eat plastic and feed it to their babies. Plastic bags look like jellyfish and bits of plastic look like fish. We can help by picking up rubbish as we walk to school. We can also stop using plastic bags. Keep reducing, reusing and recycling. Can you think of any way to help? Please leave a comment below.